All subjects have their canon of literature that should be studied before serious students can advance in their chosen fields. 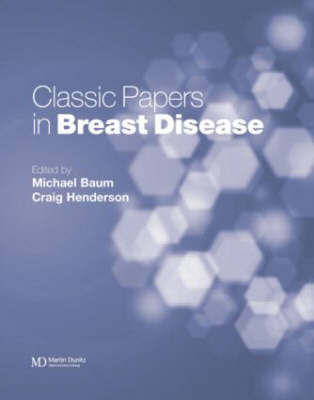 Containing papers carefully compiled not merely for their historical importance but also for their contemporary relevance, Classic Papers in Breast Disease is that resource. A team of experts shares their experience in researching, diagnosing, and treating breast disease. Each chapter contains not just a compilation of papers, but a critical commentary on the papers, their strengths and weaknesses, and their relevance to current practice and research. The commentary, always insightful and straightforward, ranges from theory to practice, from physical to psychological. Each chapter also has a brief introduction to set the scene as the author sees it. All the papers share in common their place as building blocks, as judged by the refraction of history, in the current knowledge base or in current research.